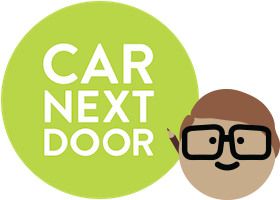 Any information stated by Car Next Door is general advice and does not take your individual circumstances into account. You will need to fully consider your individual situation and if necessary seek professional advice. Do I need to declare income from renting out my car? Yes, the income you earn from renting out your car is considered to be assessable income - but you can also claim certain expenses, like your membership fee and car expenses, as income tax deductions. The ATO has published some very helpful tax advice for people who rent out their car. This is a must-read if you are sharing your car. You can also speak with your accountant to get advice relevant to your situation. Should I register for Goods and Services Tax (GST) or an Australian Business Number (ABN) or start a separate legal entity like a company? We recommend you speak to your accountant about registering for GST, starting a corporate entity or registering an ABN. As with income tax, there's no one-size-fits-all solution. Your accountant will be able to provide you with professional advice for your individual situation. The Australian Taxation Office recommends keeping records of income and expenses regardless of how much you earn. This means receipts, invoices, odometer readings (especially at the start and end of each financial year), and records of any expenses related to your car, including receipts for fuel, servicing, tyres and cleaning. This can be in electronic form. If you're not sure about your tax obligations, speak to your accountant.